As the radio host and his ex wife duke it out on the air, in the courts, and even on YouTube, Allison Samuels asks listeners, "Would you accept relationship advice from this man?" Annie Martin is still too peeved to rationally discuss comic Steve Harvey. Like many African American women, Martin had thought of Harvey as the ultimate relationship expert—until she saw his ex-wife's YouTube rant last month, accusing him of being a two-timer and worse. For more than 10 years, Martin, a 43-year-old nurse's assistant from Baltimore, had faithfully supported her favorite entertainer—listening to his nationally syndicated radio show, watching his stint on "Family Feud," tuning in whenever he appeared on TBN religious network. Martin always believed the comedian was just a "down home brother" with enough common sense and old-school wisdom to share with the masses. And when the 54-year old radio host decided to pen his own book in 2009, detailing his insights into the black male psyche and relationships, she ran to the bookstore. "I just knew he'd be able to tell me what I needed to do to find a black man. No one else was stepping up to try," Martin says. Harvey's Act Like a Lady, Think like a Man, had 50 printings, sold 2 million copies and appeared on The New York Times Bestseller list for months, and he followed up last year with a second book, Straight No Chaser; How to Find, Keep and Understand a Man. Harvey basked in his own spotlight, posing for covers of Essence magazine with his wife Majorie and gracing the couches of Oprah, Jay Leno and other shows, touting his winning advice for couples. Winfrey was so impressed with Harvey's straightforward, pragmatic approach to love and relationships that she reportedly considered giving him a show about relationships on her new network, OWN. But the show never materialized, and now it looks like Winfrey may have dodged a bullet. Before she could finalize plans for the Harvey show, the daytime queen received some troubling news from the former Mrs. Steve Harvey—who then went on to share her complaints with the world via her YouTube video. Simply put, Mary Harvey thinks her husband is the last man in the world who should be a relationship guru. Among her accusations are that Harvey was unfaithful (more than 15 times, she claims), that he was allegedly abusive, and the ultimate betrayal—that he left her and married his mistress. She also accused him of turning their son against her and leaving her penniless. While Winfrey won't make an official comment on the ex-couple, sources close to the talk show host say she's relieved she pulled the show off the table and hopes not to be a central focus of the Harveys' lawsuits against one another. Both Steve and Mary Harvey are under a court gag order and declined to comment for this story. The shocking claims still have many African Americans—particularly those convinced Harvey's relationship advice was gospel—battling feelings of betrayal and asking, just who is Steve Harvey, really? Had they actually been duped by the charming, funny man with a penchant for expensive three piece suits and hair pieces? "A friend sent me the YouTube video and my heart sank," says Martin, the Baltimore nurse's assistant. "I know it sounds silly, but I thought of him like a true friend. Not to be a perfect man, but to be honest about his own circumstances before instructing me how to deal with mine. I'm not even saying what his ex-wife said is all true—but clearly something was very wrong." "I love Steve Harvey and always felt like he was giving me the truth about men and how they feel for real," said Leslie Williams, 34, a pre-school teacher from Las Vegas, Nevada. "Hearing him every morning and seeing him on all those religious shows like TBN made me trust him in a way that I don't usually with famous people. I loved his book. I bought it for all my sisters because it was really on point. But had I known how bad his relationships turned out over the years, I would have saved my money and just spoke to brothers at the barbershop. At least I know their issues." Williams says she had no idea Harvey was now on his third marriage. "That should have been a sign for me," she adds. "He was telling black women how to deal with men and how to get one for the long haul. He just didn't think his own messy mess was going to come out," says one former fan. But while some black women balk at the comic's public soap opera, a lot of black men are saying, "Told ya so." Many gladly admit they always suspected Harvey was skillfully milking the subject of relationship success for big publicity and even bigger bucks. "My girlfriend read his first book and treated it like a bible. She was always telling me something he said in it. I would asked her what makes Steve Harvey an expert?" says Kadeem Warren, 32, of Los Angeles. "I mean, did he go to school for it? Did he go to seminary school or something? Have his relationships been that great? Why would I or anyone else listen to him?" Two million readers obviously did, and the underlying reason why isn't hard to figure out. The percentage of unmarried African-American women continues to grow, hovering close to 50 percent—a figure that induces panic in some women and the desire for an instant fix in others. What better way to find a black man than by listening to the advice of one? Harvey had clearly done his homework. "It's no secret the issues we have in the black community when it comes to relationships," says Joyce Glover, an African American relationship therapist based in Charlotte, North Carolina. "Broken homes, divorce, high prison rates for black men, these all present a huge challenge for black women. There are many complex reasons for the problems we have, and unfortunately, as much as we'd like him to, Steve Harvey doesn't have the answer." For his part, Harvey, who declined to be interviewed, denies many (but not all) of his ex-wife's allegations, even publically presenting court documents detailing his financial arrangement with Mary Harvey that gives her $40,000 a month. No doubt feeling the heat from his dedicated female fans, he also told Jet magazine recently that his books are about men and not marriage. (His readers are to be excused if they thought otherwise, given that the title of his most recent book says How to Find, Keep and Understand a Man.) "When I read his interview in Jet, I just rolled my eyes," said Latosha Simpson, a 25-year-old graduate student at UCLA, who read Harvey's first book twice. "He was telling black women how to deal with men and how to get one for the long haul. He just didn't think his own messy mess was going to come out." Simpson says she and several of her friends have now thrown away Harvey's books and stopped listening to his radio show each morning via the Internet. "At this rate, Lil Wayne can write a book about relationships." (Lil Wayne is notorious for having gotten two women pregnant in 2009). Harvey and his ex now have a court date in March to determine whether or not she violated their previous divorce gag order by appearing on YouTube and in other media outlets. But while a court date for the former couple may help resolve some of their issues, it will do little to answer the real question many African American women have been asking themselves for a few weeks now—namely, is the joke really on them? Allison Samuels is a senior writer at Newsweek. 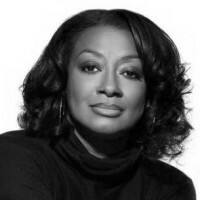 Her work has also appeared in Rolling Stone, O, Essence and Vibe magazines. She's also the author of Christmas Soul , published by Disney/Jump At the Sun, and Off The Record , (Harper Collins/Amistad).